As a professional supplier of therapeutic or diagnostic antibody development and research, Biologics International Corp (BIC) has extensive expertise and research experience to offer antibody humanization services. We have successfully performed 30 mouse / rat humanization projects during the past decade using our unique algorithms (Kabat and IMGT algorithms with a few key improvements). With in-depth understanding and exploration of antibody humanization, BIC will help your drug step into the clinical stage successfully. For more information, contact us to discuss your project today. Humanized antibodies are generally obained from rodents whose protein sequences have been modified to reduce their immunogenicity and increase their similarity to antibody variants produced naturally in humans. With the development of the hybridoma technology, monoclonal antibodies with specificity for antigens of therapeutic interest have been applied to clinical practice. Nevertheless, rodent monoclonal antibodies are rapidly removed from circulation that can cause systemic inflammatory effects, which reduces their therapeutic value and limits their clinical applications. Antibody humanization could decrease the immunogenicity of monoclonal antibodies and to improve their activation of the human immune system by replacing non-human antibody frameworks with human ones. It is a very important step in the therapeutic antibody discovery process. Humanized antibodies are usually believed to be distinct from chimeric antibodies. The protein sequence of a humanized antibody is essentially identical to that of a human variant, despite some of its complementarity determining region (CDR) segments being of non-human origins. The design of the humanized antibody is the critical step in reproducing the function of the monoclonal antibodies, including the extents of the CDRs, the heavy and light chain combination, the human frameworks to use and the substitution of residues from the rodent monoclonal antibodies into the human framework regions. In general, monoclonal antibodies were humanized by grafting the three CDRs from the their light chain variable region into a human VL that was as homologous as possible to the mouse antibody VL. Similarly, their three CDRs from the heavy chain variable region were grafted into a human VH that was as homologous as possible to the mouse antibody. Furthermore, in the framework region of the selected human variable regions, a few amino acid residues were changed into the amino acid residues that were present in the mouse variable regions (the so-called back mutations). The back mutations and grafting the CDRs in a different framework context might bring added value to the resulting molecule. We have developed a computer modeling method to randomize certain framework residues to CDR grafting. The grafted CDRs are cloned into a phage display library, and the humanized antibodies with the best affinity are selected by screening of this phage library. To further reduce the immunogenicity of the CDR-grafted humanized antibody, BIC can also minimize the murine content through specificity-determining residues (SDR) grafting. For more information or a quote, please get in touch. Based on BIC's extensive expertise in the field of antibody humanization and the rich research background, we are proud to offer the integrated antibody humanization service. Using our unique algorithms, we can identify the CDRs from your antibody sequences and graft these CDRs to the carefully selected frameworks. According to your specific requirements, we can provide structure-based back mutant antibody sequences or not artificially modified ones. The humanized antibody is guaranteed to have a binding affinity comparable to that of the parental antibody. Not only that, we will design at least 5 VH and 4 VL sequences, which will result in more than 20 different humanized antibodies that we would express and test to find the best candidate. These candidates could be tested in bioassays (optional), such as using ELISA, Biacore Surface Plasmon Resonance, and a set of biological assays to support the characterization and selection. 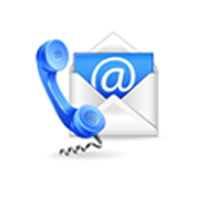 Please contact us to discuss your specific needs. We can also offer you with two strategies for human antibodies. The first one is a chain shuffling strategy using human light chains to replace those of rodents, and the hybrid antibody library is then screened. After that, the heavy chain of the selected hybrid antibodies is replaced by human heavy chains. Subsequent screening of this secondary library will produce fully humanized antibodies. The second is our antibody libraries, which have a large capacity (107 to 1012) and a high diversity (2.0 × 109), allowing you to select the required antibodies. You may need other services, such as phage display library, antibody sequencing, scFv / Fab, and Fc fusion proteins.